Welcome to the bad boy of the Estate world. The new Porsche Macan Estate is one of the best cars of its type on the market right now. It’s a blast both on and off-road, and can’t be beaten when it comes to driver involvement. It’s a luxury performance vehicle in the top bracket, a car for drivers who like to go fast, but who like to feel good while doing so. It can also offer an incredible amount of space, and it’s highly refined. The best thing is that there are sensible engine options for sensible people, and explosive one for those who want to drive on a knife’s edge. OSV takes a closer look at what it’s all about with our 2017 Porsche Macan Estate review. This is a huge car that holds the road supremely well. 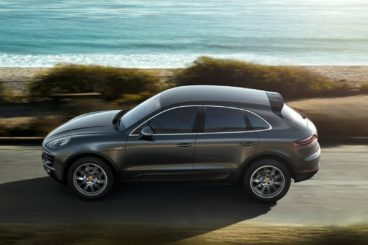 Four-wheel-drive is standard, and it proves to be a useful asset that ensures the Macan’s power is distributed for maximum effect. In slippery conditions, this is a car that won’t go hiding. The suspension has been fantastically engineered too, so that all models are entertaining to drive. The steering is accurate, and there is hardly anybody lean. Ride quality is also impressive. You can specify air suspension if you wish, and doing so lowers the Porsche’s ride height so that composure is enhanced even more through bends. However, it’s costly and only necessary if you want a truly luxurious way of travelling. Off-road, the Macan is good. It’s perhaps not as warrior-like as a Range Rover, but its robust chassis helps to turn this classy car into a proper worker when the going gets tougher. In terms of its engines, the Macan S Diesel is the sensible option we referenced earlier. It develops 258bhp and returns a respectable 45mpg economy. 0-62 is done away within 6.3 seconds, which makes the Macan faster than a VW Golf GTI. However, if you’re on the lookout for a road warrior that has a bite, the Macan Turbo petrol model is the powerhouse choice. Powered by a meaty, turbocharged 3.6-litre engine, it can do 0-62 in a matter of 4.8 seconds before maxing out at 165mph. The brand’s PASM suspension system is standard, and this fine-tunes the cars handling so that it’s even sharper. Want even more power? Adding the Performance Package knocks things up to 434bhp, while nudging its 0-62 time up to 4.4 seconds. The Macan GTS sits one place below the Macan Turbo with its 3.0-litre twin turbo V6 engine. It produces as much as 355bhp, and dispatches 0-62 in 5.2 seconds. Add the Sport Chrono Package for £729, and you can cut this time down to just 5.0 seconds. 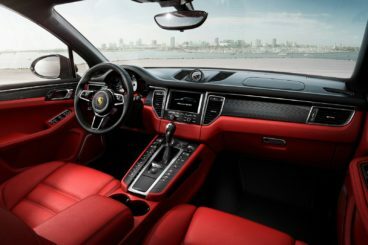 One of the things buyers will appreciate the most about the Porsche Macan Estate’s cabin when on the move is its high comfort levels. Its sports suspension might be on the firm side, but not only does it iron out lumps and bumps, it also cushions you against some pretty hefty blows dished out by poor surfaces. Air suspension is an expensive option, but it makes the Macan even more comfy. That said, both the Macan Turbo and GTS get PASM suspension as standard. Refinement is good in all models, and even at speed the car is quiet and smooth. In terms of the look and feel of the cabin, there are plenty of elegant touches, such as a clock that sits atop the air vents and sat-nav. But despite these touches, what’s most striking is how robust and durable the cabin feels. You get the impression that the Porsche Macan is a car that’s destined to last a long time. It’s practical too. There is a good amount of room for five people, with head, leg and shoulder room adequate. Access is easy, while the high ride height means visibility is good. Adding the optional panoramic sunroof will reduce rear headroom, however. There is no option for seven seats, while the boot measures a respectable if far from class leading 500-litres. Fold the rear seats and you can increase it to 1,500-litres. A wide opening makes it easy to use, and the seats are simple enough to fold flat. Standard kit in all models is good, with the entry-level S model getting a DAB radio, 19” alloys, climate control, electrically adjustable part-leather seats, as well as power-folding mirrors. Each model gets the brands 7-speed PDK twin-clutch auto ‘box too. However, this won’t necessarily suit keener drivers who might prefer a clutch pedal. The GTS stands out with its exhaust tailpipes, exclusive badging and dark smoked tail-lights, while options include a £1,000 panoramic sunroof and £2,000 sat-nav if you go for the entry-level model. Porsche’s usually aren’t crash-tested by Euro NCAP, but because the new Macan is expected to sell well, they’ve put it through its paces. It excelled too, scoring a clean sweep of 5/5. Standard safety kit includes airbags and electronic stability control, while optional extras are lane-keeping assistance and blind-spot warning. Prices for the new car start out from £45,900 and rise to £69,500. If you prefer to lease, you can pick up a deal from £602 + VAT per month. For more information on our leasing deals, check out our page here. In terms of its running costs, all models will be expensive to run. Without the option for two-wheel-drive, you need to be prepared to some pretty hefty fuel bills. The sole diesel Macan S is the most frugal, but it can only return 46.3mpg at best. It also emits close to 160g/km of CO2. The Macan Turbo model is the most powerful in the range, and its claimed economy of 31.4mpg is actually impressive when you consider how much power it’s got. However, the fact that it pumps out 208g/km of CO2 into the atmosphere won’t be attractive to green-minded buyers. The GTS is a good “middle ground” choice, but its V6 engine is only slightly more economical than the Turbo, returning 32.1mpg at best. Since Porsche got involved in this market, their badge alone has made the Macan the brand’s best-selling car. It’s easily the most desirable car of this type. 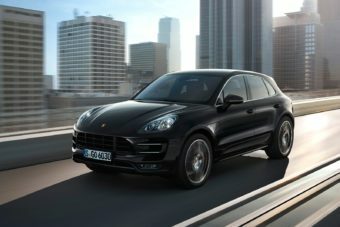 It drives exactly how you’d expect a Porsche SUV to drive. It’s smooth, quiet and comfortable. A gorgeous way to travel. Even sat-nav costs £2,000 to add to the entry-level model. Since when do family cars return just 32mpg? Since now. Let’s see how the Porsche fares against its rivals in the comparison section of our 2017 Porsche Macan Estate review. The new BMW X5 Diesel Estate offers as much driver involvement as the Porsche, but is let down by conservative styling. BMW have trimmed the X5 for this time around, but it still tips the scales at over 2,000kg. However, like Porsche with the Macan, BMW has been able to hide the X5 Estate’s weight well. Its handling is crisp and body lean is well controlled. Enthusiasts won’t be happy with the somewhat artificial feel of the steering, while the car isn’t as competent off-road as the Macan. In terms of the engines, the diesels are the sensible option. There is a pair available, and the more powerful of the two comes in three different power guises. Moreover, unlike the Porsche, you also get to choose between two and four-wheel-drive, a choice that will affect how much you pay at the fuel pumps. The entry-level BMW X5 25d is backed by a 2.5-litre four-pot engine that develops 228bhp, and can do 0-62 in 7.7 seconds. For more pulling power and a smoother experience, the 3.0-litre diesel engine is a better bet. You can choose from three different power outputs, with the quickest of them all being the 375bhp 50d variant that does 0-62 in just 5.3 seconds. So, not as fast as the Macan. 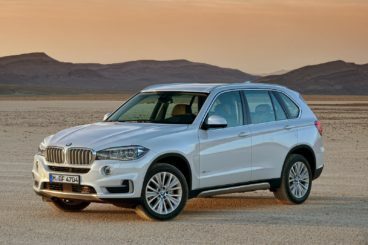 However, the entry-level BMW X5 25d model is cheaper to run, and can return as much as 53.3mpg when fitted with two-wheel-drive. Add four-wheel drive, and that figure drops to 50.4mpg. Even the 3.0-litre diesel is more economical than the Porsche, returning 47.9mpg at best, and 42.8mpg at worst for the 50d model. Inside, the BMW X5 Estate wants for very little. Its cabin is classy, feels well built, and comes with a visually compelling dashboard that’s neat, tidy and dominated by a ten-inch high-def infotainment screen. As ever, BMW’s intuitive iDrive control system is present and correct, and the steering wheel and driver’s seat offer lots of adjustability. Unlike the Macan, the BMW X5 Estate comes with seven seats if you want it to. As such, it’s more than just a sporty estate – it’s practically a luxurious but robust people carrier. Visibility is excellent, the door bins and pockets are nice and large, and there are cubbies everywhere. The leather seats are comfortable too, and all your passengers should have plenty of room. The boot, meanwhile, measures 650-litres with all five seats up. Fold the rear seats and you can extend boot space to 1,870-litres. Adding an extra third row of seats will of course reduce luggage capacity. 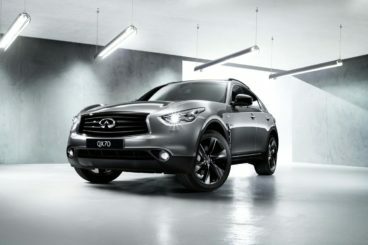 The new Infiniti QX70 Estate is another sporty large car that’s got a challenge on its hands if it’s to pip the Porsche. There is no doubt that the QX70 has some serious chops, but it can’t match the Macan when it comes to pace and performance. Its fastest engine is a 5.0-litre V8 petrol unit that does 0-62 in 5.8 seconds. A 3.7-litre V6 petrol engine is a less expensive alternative that does 0-62 a whole second slower, while a 3.0-litre V6 diesel power plant is slower still, but has the economy on its side. All engines are paired up with a smooth 7-speed auto transmission that does allow you to have a bit of say in things yourself via paddles that are situated behind the wheel. Four-wheel-drive is standard, as is a smart four-wheel-steering system that makes it easy enough to tackle bends with this considerably weighty machine. However, the major elephant in the room here is running costs. The 5.0-litre petrol isn’t as fast as the Porsche Macan Estate, but it returns 20.9mpg at best, making it a lot more expensive to keep on the road. Worse still, it emits 316g/km of CO2. The diesel is the most affordable, but its returns of 32.8mpg are on par with Porsche’s range-topping petrol. Hmm. The Infiniti QX70 Estate’s interior is a strength. It’s drenched in luxury and comfort, with cooled and heated seats as standard. You can add a massage function for extra indulgence, and the rear seats recline. Insulation is outstanding, and there is no denying that this is a fantastic car to be inside while on the move. Just a warning, though: Adding the 21” alloys will put a dent in ride quality. Unfortunately, the Infiniti loses out on the practicality front. Its boot measures just 410-litres. You can extend it to 1,305 by folding the rear seats, but it’s still way behind rivals, including the Porsche. Headroom is also not that great, though legroom is just fine. Most people will love the idea of a Macan. Yet despite the petrol engines only able to return slightly higher than the 32mpg economy at best, the fact that this car is selling so well suggests people are willing to live with its high running costs. As such, we clearly love it as more than just an idea. If the economy is not a massive priority to you, this is one hell of a car. A sporty estate with a temper, it’s got four-wheel-drive, masses of space, power, speed, performance and sharp handling. The most exciting family car ever? The new Porsche Macan Estate comes close.